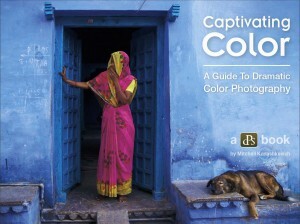 You are here: Home / Photography / Should “Captivating Color” Capture Your Cash? Last time Darren launched a DPS book, I copped a few comments from my list about the lateness of my review, so I’ve made an effort to get in early on this one. 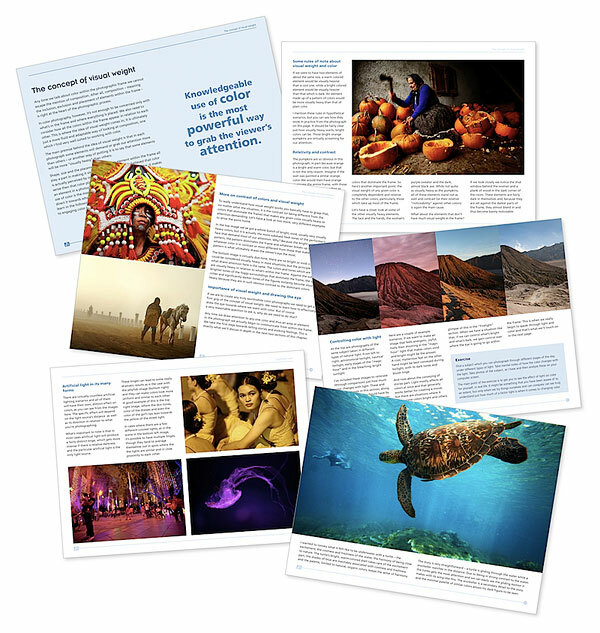 Called "Captivating Color", this is the second DPS e-Book from freelance travel photographer Mitchell Kanashkevich, whose "Transcending Travel Photography" was published by Darren last year. This one’s a lot shorter, but if you buy in the first week you get a second e-Book from Mitchell, "Seeing the Light" as a bonus. So should YOU consider buying "Captivating Color"? 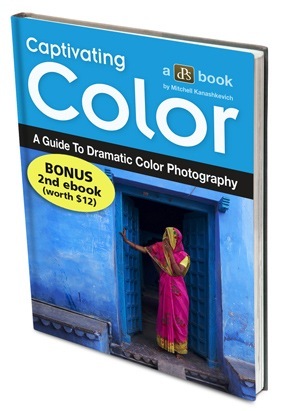 Short answer: yes, if you’re in the market for good basic info on using colour in your photography and similar info on using flash and available light: US$14.95 for both Mitchell Kanashkevich’s “Captivating Color” and “Seeing the Light” e-Books is a no-brainer. Captivating Color. Yep, that’s an affiliate link, I get about US$6 if you buy the book, but I suggest you read my review first to find out whether you should). But there are a few caveats. Let’s get on to the review. Here’s a shot of the contents page. 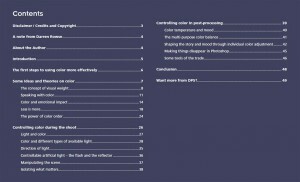 The Introduction says the eBook is made up of four chapters, but there are in fact three main sections: "Some ideas and theories on color", "Controlling color during the shoot", and "Controlling color in post-processing". The writing is clear and non-technical, and although there’s nothing new about the principles and concepts put forward, Mitchell’s use of his photos to explain the practical implementation of them is well done and should prove very useful to his target audience. In fact, this practical illustration element is undoubtedly the strongest feature of the e-Book, giving a valuable insight into the way he personally approaches a particular subject. 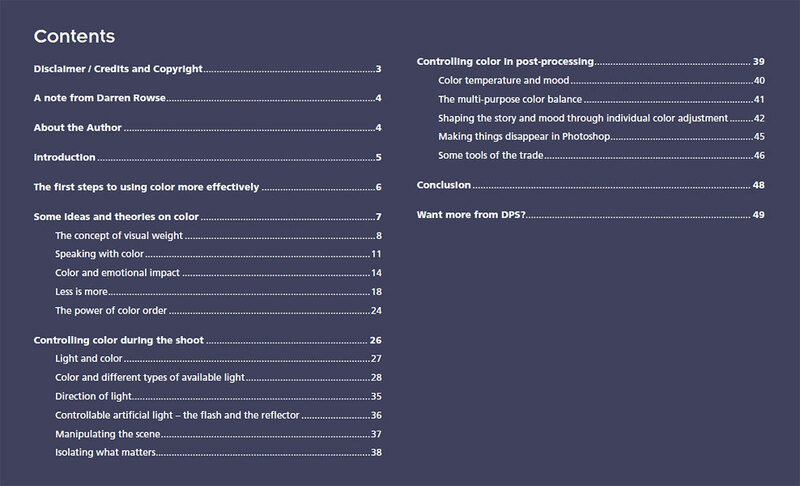 The comments on "visual weight" and the second section on "Controlling color during the shoot" are really expansions of sections of his previous e-Book, "Transcending Travel", you’ll find many of the same topics in both. As the images are also drawn from similar subject matter (Asia, Eastern Europe) those of you who bought the earlier book might feel a degree of deja-vu, and I would like to have seen a bit of variety myself. Having said that, the photos are of excellent quality and in general good illustrations of the point he’s making. The underwater image of the turtle in particular should be singled out as an exceptional piece of work. The third section dealing with post-processing firmly grasps the nettle that some other authors minimize or avoid: the undoubted truth that few of the spectacular images we see these days have not been improved by the magic of Photoshop, Lightroom or another graphics program. Yes, Mitchell does take Photoshop and Lightroom as his example software, but that is simply recognizing the fact that these are the best solutions available. His screenshots of tool details are helpful, and his advice, although basic, is simple and to the point. He doesn’t shrink from showing how he has altered his own images, with clear before and after shots. Refreshing. What about the photos and layout? If you’re a relative beginner, you’ll definitely find some useful and worthwhile information in this book, despite its brevity. In his introduction, Darren maintains "color is not always at the front of our minds" when we take photographs. I don’t think that’s true of most people, in fact I’d argue that colour is one of the first thing we notice about a subject; of course, making effective use of it is a different matter. If you want to go deeply into colour theory and the technical aspects of using colour in your photography, this is not the book for you, but as a short, practical introduction "Captivating Color" is a worthwhile buy, and with this two-for-one deal, unbeatable!